Digital video advertising is growing at a rate of over 43%, year on year with a new IAB report touting digital video advertising as the fourth largest internet advertising format, after mobile which comes third, with search and display advertising leading the pack. Despite digital video advertising still holding a relatively small share of the advertising market at 7% (equating to $2.8 billion in revenue in the fourth quarter of 2014), eMarketer has predicted that by 2015 digital video advertising will hold an impressive 15% of the advertising market share. The rise of the online video advertising market is largely attributed to a perceptible shift in consumer behaviour and there being so many channels and platforms now available to advertisers. 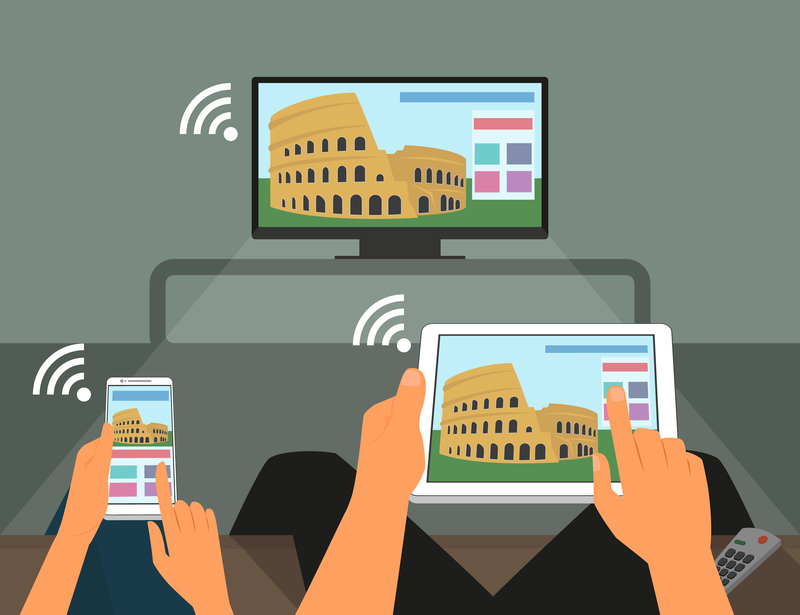 There is no doubt that TV advertising is still a major option for advertisers with 75% of people opting to sit in front of the TV in the evening with their families (Connected Life, 2014). However, viewing habits have changed and mobile is now pulling people’s attention away from the television screen, with most TV viewers simultaneously watching TV and using their mobile phones for social media, checking their emails and watching online content. People now want to be constantly engaged with on-the-go entertainment and this doesn’t stop at home; whether sitting on the sofa at home or walking down the street – people are constantly engrossed by their mobile screens! The massive growth of digital video advertising has had a counteracting effect on the TV advertising landscape. Advertisers have become conscious of their audience constantly moving from screen to screen, switching their eyeballs from TV to computer to tablet and mobile, with many advertisers now seeing online video and mobile video advertising as direct competitors to traditional TV advertising. So much so, that when surveyed, advertisers planned on spending 17% more on digital video in 2014 compared to spend in 2012. In a survey conducted by Advertiser Perceptions on behalf of the IAB, it was found that of those who were going to invest in digital video inventory, 49% of their budget would be spent for online video and 51% for TV advertising. What’s more, the survey also found that 65% of ad executives expect that they will spend more on digital video advertising next year than they did in 2013 (Variety, 28 April 2014). With such shifts in digital video habits taking place, more and more advertisers are realising the potential that mobile video advertising has. This damaging effect on TV advertising is exacerbated by a television audience who are turning to ad-free content subscription services such as Netflix and HBO. These services are well known for avoiding advertising completely, relying on the subscription fee to fund the business, thus reducing the potential reach of the traditional TV ad model. With people watching online and mobile video, this opens up a massive opportunity for mobile advertising. Mobile advertising saw the largest growth out of online advertising as a whole, with revenue up 110% from the previous year (PwC, 2014). Considering that digital video and mobile are on the rise, combining the two could have a massive effect on the future and effectiveness of TV advertising.